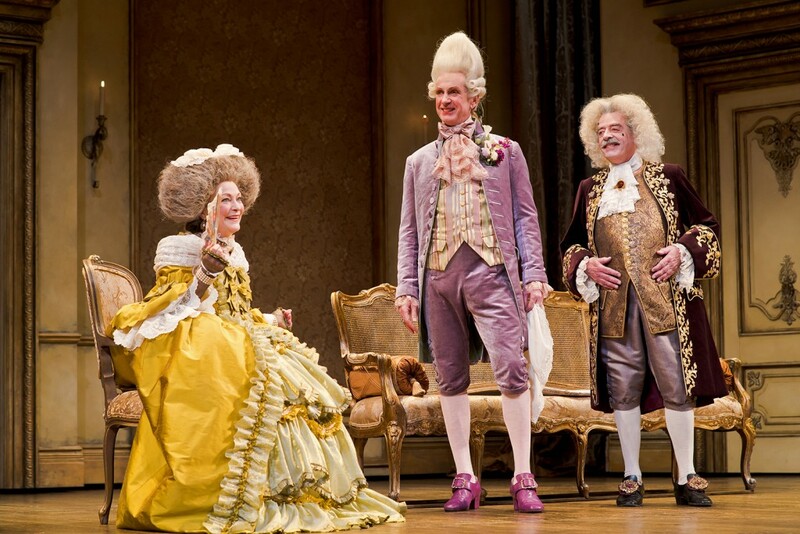 Brigit Wilson as Mrs. Candour (left), Tom Rooney as Sir Benjamin Backbite (centre) and Rod Beattie as Crabtree (right) are refreshing faces in a class of hidden agendas in the Stratford Festival presentation of The School For Scandal on stage until October 21, 2017. Playwright Richard Brinsley Sheridan knew what could trigger laughter in the theatre right up there with the best of them from his era. Enter a visually crafty Antonio Cimolino for a superior fix of funny and the sharp, shallow, and scintillating presentation takes on a life of its own at the Avon Theatre. This is in reference to Monica Peter’s Maria, a character you usually never notice in the shenanigans surrounding the precarious marriage of the Teazles and the testing of Charles Surface (Tyrone Savage). “I bear no malice to the people I abuse,” is the waspish defence of Shannon Taylor’s Lady Teazle, a kitten with claws if there ever was such a thing. This is a robust staging and serves as a surprising delight to anyone new to the story. It does come across as a bit more of an actor’s play than anything else but if you’re able to set that aside, there’s a wealth of disguised pleasures to be had.